Smash Shot of the Day: You're Tearing Me Apart! The Yellow Devil, of Mega Man fame, is falling apart! 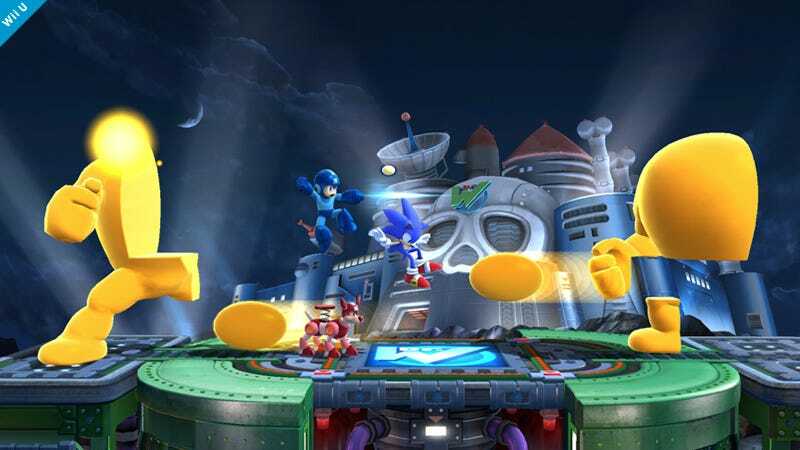 Or he's just shooting his body across screen to make life more difficult the Blue Bomber and the Blue Blur. What a jerk.